I really liked this book. 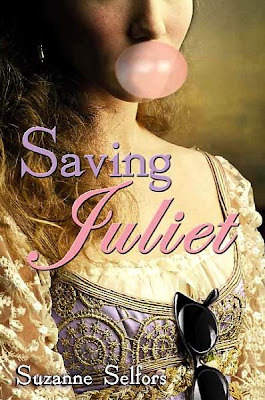 I thought it was a very original take on part of the story of Romeo and Juliet. I liked that it was not simply a retelling of the story, as some of the books I have read were, but the characters did live threw the story in a cretin way. I really liked it, and thought it very original. I might even read the original Romeo and Juliet!!! It would be interesting to see how they compare. All in all a good book. i do recommend it. "Quiet! You must listen to the prince," a man scolded. The crowd stilled and a voice burst forth from somewhere ahead. I couldn't see the speaker but he spoke familiar words. "three rimes now, the Capulets and Montagues have fought in our streets, spilling their own blood as well as the blood of innocent bystanders. I will stand for no more. If either house disrupts the peace again, the punishment shall be death! That is the word of your prince." The Capulets and the Montagues? Okay, this was getting stranger by the minute. I didn't know if I should burst into tears or start giggling hysterically, so I did both. I stood there like a crazy person, in my mud-spattered dress. This was just like the opening of the play, when the price makes his proclamation. Just like the play that I was trying to escape. How could this be happening? ?